There’s a problem with our conception of progress in America today. It’s based on money measures and not much else. Measure of America creates metrics to tell us about how people are doing. One fundamental indicator of societal progress and well-being is how young people are faring in their transition to adulthood. And on this measure, 4.6 million young people are falling behind. 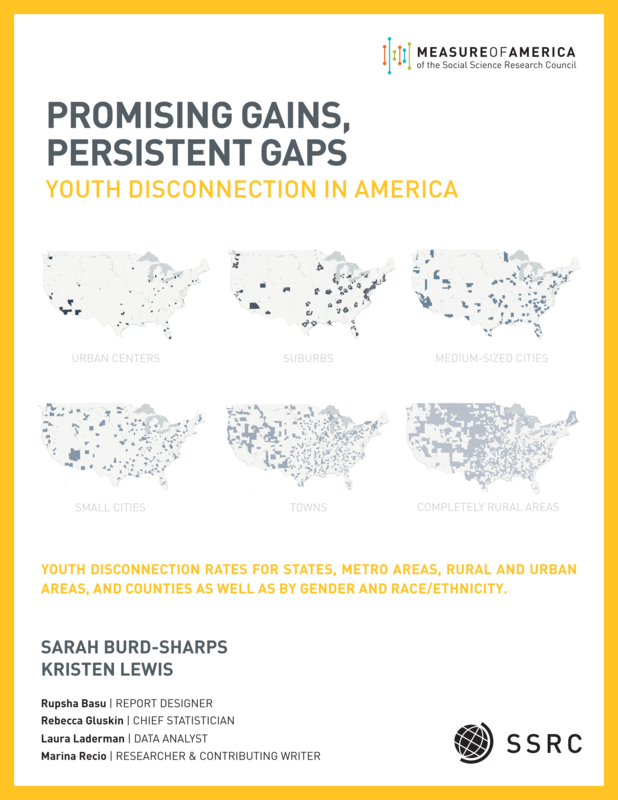 Disconnected youth are teenagers and young adults between the ages of 16 and 24 who are neither working nor in school. 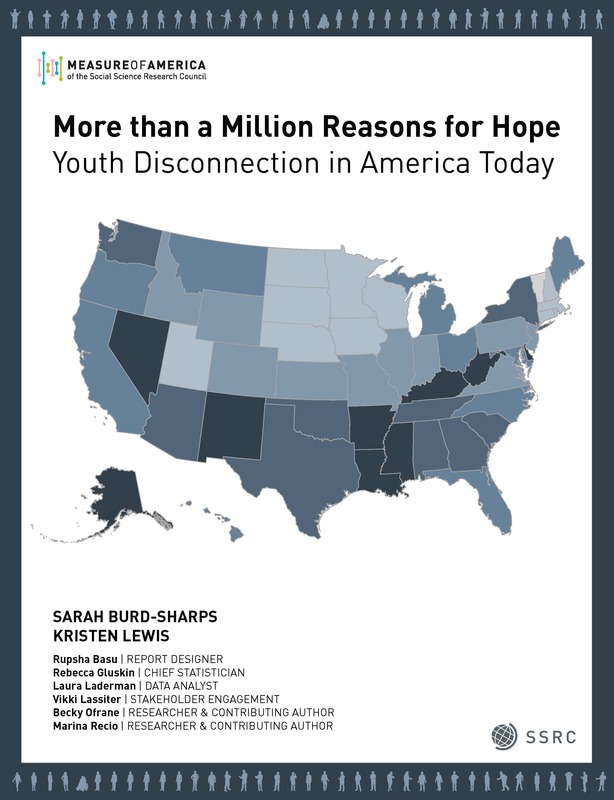 There are 4,599,100 disconnected youth in America today, or about one in nine teens and young adults (11.7 percent). Measure of America has, since 2013, been providing unique calculations of this population at the state, county, city, and neighborhood level, by race and ethnicity, for young women and men, and, for the first time this year, for rural, suburban and urban counties in an effort to draw attention to this population and provide policymakers, business leaders, philanthropists, and community leaders with the up-to-date data they need to target their interventions and assess the effectiveness of their efforts. Data and analysis can be found here. These vulnerable young people are cut off from the people, institutions, and experiences that would otherwise help them develop the knowledge, skills, maturity, and sense of purpose required to live rewarding lives as adults. 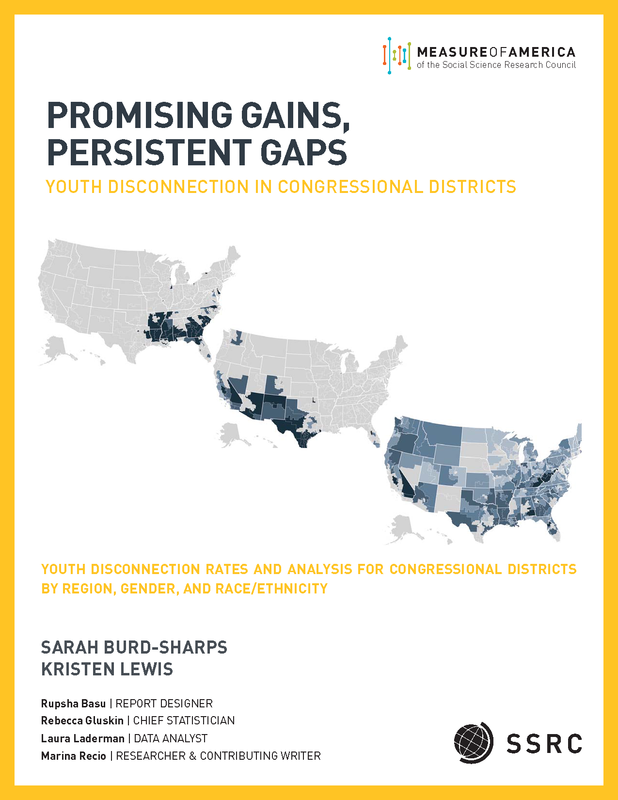 And the negative effects of youth disconnection ricochet across the economy, the social sector, the criminal justice system, and the political landscape, affecting us all.